The prevalence of the metabolic syndrome has been shown to differ in various populations around the world and among ethnic groups within the same geographical areas. For example, whereas about 25% of the entire US population has the metabolic syndrome, a much larger prevalence is observed in Hispanic Americans, Native Americans, and blacks. These differences contribute to the excessive risk for type 2 diabetes and cardiovascular disease reported in US minority groups. Details on the mechanisms for ethnic differences in the prevalence of the metabolic syndrome are not yet completely elucidated. However, susceptibility to central obesity and insulin resistance may play a major contributing role. Centers for Disease Prevention and Control: Early release of selected estimates based on data from the 2004 National Health Interview Survey. Available at http://www.cdc.gov/nchs/data/nhis/earlyrelease/200506_06.pdf. Accessed February 2010.
International Diabetes Federation: The IDF consensus worldwide definition of the metabolic syndrome. 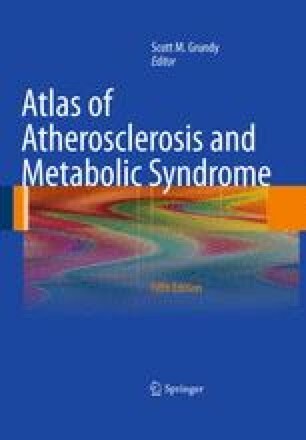 Available at http://www.idf.org/webdata/docs/Metabolic_syndrome_definition.pdf. Accessed February 2010.